The Technical Education Curricula for Health and Safety (TECHS) study team is proud to present "Informed - Safe - Healthy. 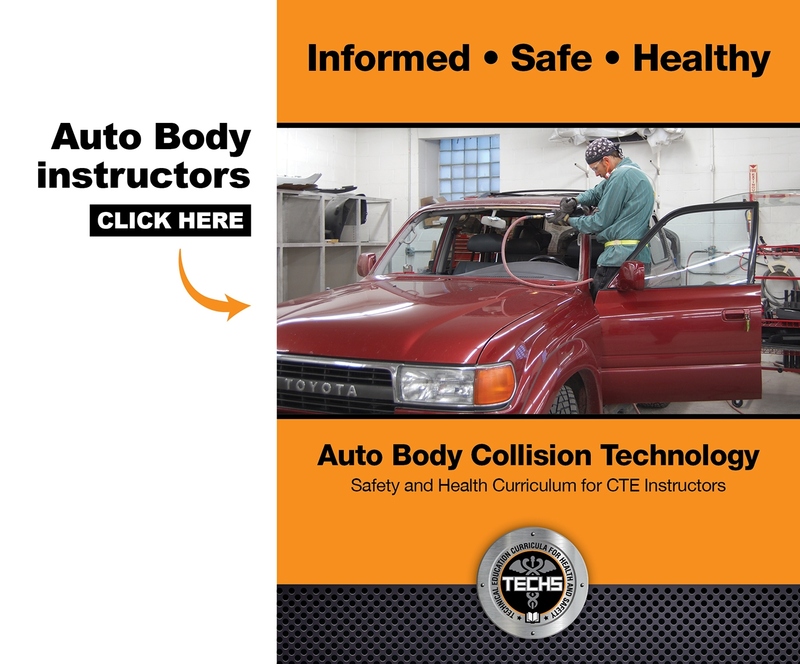 Safety and Health Curricula for CTE Instructors". These materials were created, tested, and refined during a 4-year collaboration with instructors in the Auto Body Collision Technology and Machine Tool Technology programs of three vocational colleges in Minnesota. 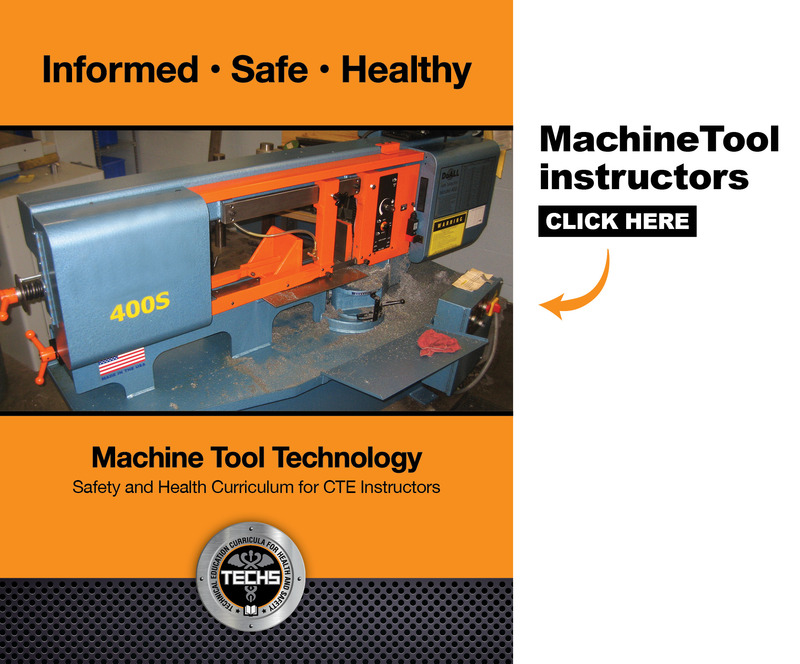 These materials are designed for career technical education (CTE) instructors to present to students attending 1- or 2- year programs. Read more about TECHS, the study team and our partners; subscribe to our Newsletter; find additional educational resources; and review the licensing terms by clicking on the menu options listed at the top of this page. To access the curriculum materials select one of the images below. Click here to see an index of all materials by topic.